The South Korean stock market is a great place to find value, and particularly right now when the U.S. stock market is so overvalued. In our view, the investment returns over the next 7-10 years are probably going to be more attractive in South Korea than the United States. If you look at the Korean stock market, also known as the KOSPI, the Price/Book ratio is barely above book value, and the P/E ratio is less than 10x. Furthermore, the Korean market is even cheaper than these surface-level valuation measures suggest because many Korean businesses own the shares of other Korean companies which have real value but are not captured by the traditional valuation metrics that are picked up on a Bloomberg screen. As an aside, you might be wondering what the most expensive countries in the world are (see table below). It’s important to remember that valuation measures are only useful for making long-term investment decisions. The more undervalued a particular stock market is, the more likely you will be in generating more attractive returns over a seven to ten-year period by investing in that market. Valuation measures are usually not helpful in predicting near-term stock market returns. In 1998, U.S. tech stocks, already grossly overvalued, continued to rally for two years before finally correcting severely. If you are a long-term investor, you are better off paying attention to valuation and trying not to worry about short-term price fluctuations, in our view. Why is the Korean Stock Market Cheap? It’s a difficult question to answer. To be honest, we are not exactly sure why Korean stocks are cheap. We are also not sure that it matters. However, we can confidently say that Korean stocks are not cheap because of current headlines related to a potential armed conflict between the United States and North Korea. We say this because South Korean stocks have been cheap for years, and Korean stocks have rallied in 2017. That rally has occurred despite the fact that the risk of armed conflict with North Korea has increased substantially. Our speculation is that Korean stocks are cheap for two reasons. 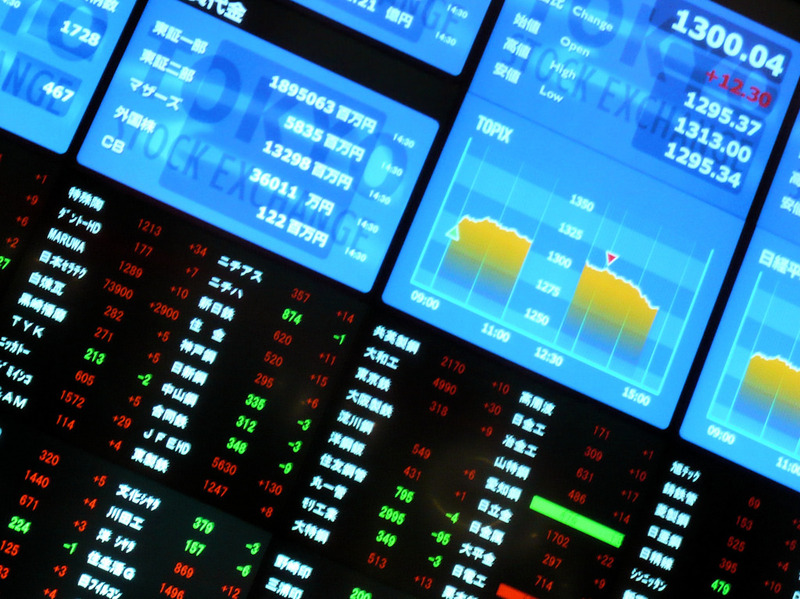 First, it’s difficult to invest in individual Korean stocks as a U.S. investor. There are few ADRs that you can buy in the United States and you can’t directly own individual Korean stocks without opening up a brokerage account in South Korea. Second, South Korean companies do not typically return cash to shareholders as aggressively as U.S. companies do. That’s a knock against South Korea and a lot of other countries. On the other hand, Korean companies also don’t abuse stock options and other forms of equity-linked compensation as aggressively as U.S. companies do. These are certainly drawbacks, but, in our view, Korean stocks pay you well for living with these drawbacks. What Happens if There’s a Ware between North Korea and the United States? We believe a war is highly unlikely. Such a war would involve at least two countries with nuclear weapons. Including Russia and China, four countries with nuclear weapons could become involved. All four countries understand the game theory behind mutually assured destruction (MAD). For that reason, we expect all parties involved to pursue their national interests through diplomacy. While we believe this is the most likely outcome, we could be wrong in our optimistic assessment. If we am wrong, that means a major war that will break out in Asia, potentially involving nuclear weapons. Along with North Korea, South Korea will be hardest hit. The South Korean stock market will go down in value. To put it incredibly mildly, that wouldn’t be a good development at all. However, South Korean semiconductors power the world, from computers to smart phones to cars to data centers. A war would disrupt the global semiconductor supply chain. Such a disruption will affect world markets, not just the South Korean stock market. The risk to financial markets is not at all limited to South Korea. Appleseed Capital is the impact investing arm of Pekin Singer Strauss Asset Management. This commentary is prepared for informational purposes only and is not intended as an offer or solicitation for the purchase or sale of any security. The information contained herein is neither investment advice nor a legal opinion. The views expressed are those of the authors as of the date of publication of this report, and are subject to change at any time due to changes in market or economic conditions. The comments should not be construed as a recommendation of individual holdings or market sectors, but as an illustration of broader themes. Appleseed Capital cannot assure that the type of investments discussed herein will outperform any other investment strategy in the future. Investing involves risk, including loss of principal. There is no guarantee that the strategies discussed in this commentary will succeed. Small and mid-cap investing involve greater risk not associated with investing in more established companies, such as greater price volatility, business risk, less liquidity and increased competitive threat. Investment in international markets present special risks including currency fluctuation, the potential for diplomatic and political instability, regulator and liquidity risks, foreign taxation and difference in auditing and other financial standards. Fixed income investments are affected by overall market movements, changes in interest rates, and other factors such as weather, disease, embargoes and international economic and political developments. Investments in commodities such as gold may be affected by overall market movements, changes in interest rates, and other factors such as embargoes and international economic and political developments. Commodities are assets that have tangible properties, such as oil, metals, and agricultural products. These instruments may subject investment strategies to greater volatility than investments in traditional securities. Q1 Commentary: Why Has the Stock Market Become So Volatile?